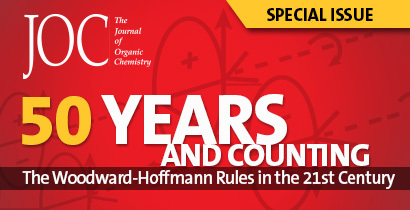 Virtual Collections include Special Issues and ACS Selects from ACS Journals. These collections reflect topics of current scientific interest and are designed for experienced investigators and educators alike. Below are our most recent collections from July 2015 to September 2015. This virtual issue focuses on scientific and engineering advances related to Carbon Capture and Sequestration. With this virtual issue, we highlight the many ways in which chemists, materials scientists and chemical engineers are making a difference in meeting the grand challenge of safe, reliable, and affordable Carbon Capture and Sequestration technologies. Read More. In this virtual issue Chemical Research in Toxicology, ACS Nano, and Nano Letters represent the forefront of research in the recently emerged field of nanotoxicology. The broad topics covered in this collection include the application of conventional in vitro toxicological approaches to assess the biological effects of nanomaterials, the development of new methods, studies of fundamental interactions between nanoparticles and molecular species, and vertebrate animal studies. Read More. ACS Infectious Diseases is excited to publish its first special issue, a collection of work focused on “Virus Entry”. The papers in this collection highlight the multidisciplinary approaches required to understand the basic science underlying host–pathogen interactions as they pertain to virus entry. Read More. In this second in a series of Forums on the activation of small molecules, a collection of articles is presented that focus on the interconversion of NOx species such as dinitrogen, nitrite, nitric and nitrous oxide, and ammonia that are highly relevant for the global nitrogen cycle. A pervasive theme is the role of these processes in global food and biofuel production, environmental pollution, and global climate. Read More. This ACS Select virtual issue showcases transformations enabled by this intersection impact drug discovery, alternative energy schemes, and materials synthesis to name but a few. The topic of this joint virtual issue highlights the resurgent area of catalysis and organometallic chemistry with first row transition metals and includes papers that have appeared in the last year in Organometallics and ACS Catalysis. Read More.